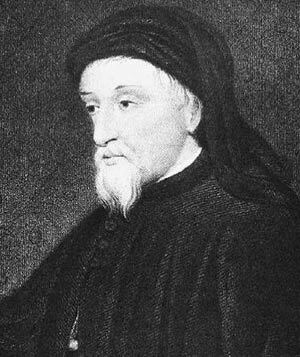 Chaucer was born in London. His father, John, and grandfather sold wine in London. His merchant family were relatively wealthy and when he was only 12 years old, his father was kidnapped by an aunt. By 1357 Chaucer was a page to Elizabeth, Countess of Ulster, wife of Lionel, 1st Duke of Clarence. In 1360, he was captured by the French near Reims during a battle in the Hundred Years War. He was then ransomed and released. King Edward III gave £16 towards his release. Chaucer married Phillipa (de) Roet. She was a lady-in-waiting to the queen and had close family connections to John of Gaunt. He had about three or four children. Chaucer may have studied law in the Inner Temple. He joined the Royal Court and travelled a lot around Europe on business for the king. He became one of the king’s esquires. One of his first known poems was written in 1369. It was called The Book of The Duchess and was written after the death of John of Gaunt’s wife, Blanche. In 1373, Chaucer travelled to Italy where he became acquainted with Italian medieval poetry. He learnt from the forms and compositions of these poems and would later incorporate some of these ideas into his own poetry. In 1374, he became Comptroller (in charge of the money) of the Customs for the Port of London. He did this well-paid job for 12 years and became quite wealthy. When Richard II became king, Chaucer continued to working in Customs. He was also sent to Europe on several more diplomatic jobs for the king. Richard II was to be a good patron to Chaucer whilst the king lived. Chaucer moved to Kent in 1385 where he had a new position as Justice of the Peace. He was also elected as one of two knights of the shire to be a member of parliament. At the end of the year, he lost his customs jobs. His wife, Phillipa, died in 1387. But on 12 July 1389, he was made the Clerk of the Kings Works looking after repairs to the royal palaces. He was given other small positions including looking after the river banks of the Thames, and as a deputy forester in the Royal Forest. Over the next few years, Chaucer became poorer and often was given small payments and pensions from the king. He died at St.Mary’s Chapel at Westminster on October 25, 1400. Chaucer is buried in Westminster Abbey, in what is now called the Poets’ Corner. 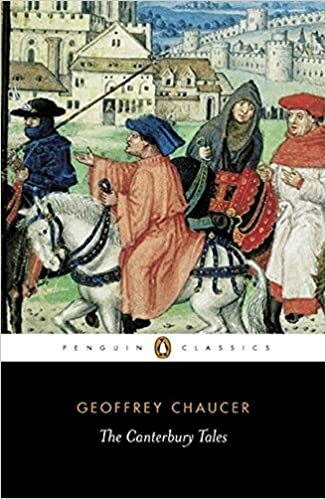 Chaucer did most of his writing between 1369 and 1393. He is famous for his collection of stories called the Canterbury Tales. Many of the characters featuring in the book were based on Chaucer’s own experiences of many different jobs. These gave Chaucer an insight into the manners and characteristics of a diverse range of people – and enabled him to satirise them in his book. Chaucer helped to standardise modern English. 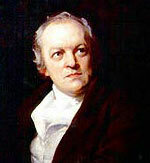 He is considered the first great English writer. Though still the English of Chaucer has drifted, making it difficult for modern readers to understand the original. When William Caxton began the first English printing press, Caxton chose ‘The Canterbury Tales’ to be the finest example of English writing. Citation: Pettinger, Tejvan. “Biography of Geoffrey Chaucer”, Oxford, UK. www.biographyonline.net, 22nd Jan. 2010. Last updated 6th March 2017.